Our legacy grant works in a different way to the others. We usually support organisations that we have an existing relationship with, however we are always open to creating new partnerships, especially if you have an innovative project which will improve the quality of young lives and will make social impact. 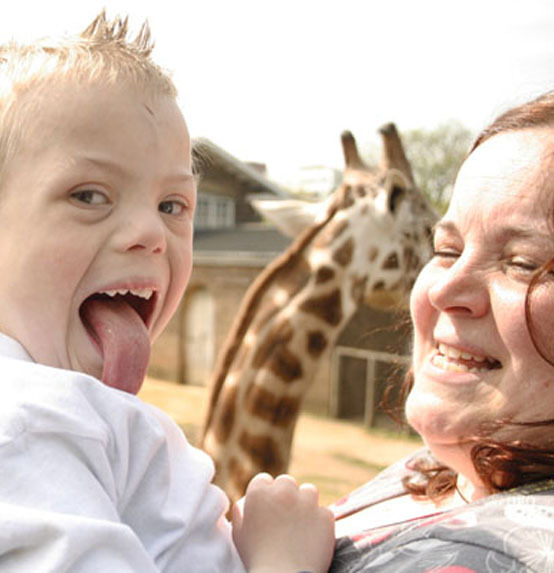 We provide grants to support projects that address issues and challenges faced by children and young people with disabilities and/or life-limiting conditions and their families. This could be a one-off event or a series of events for different groups of children, or a project that leaves a significant legacy of change and inclusion. Your project should provide positive activities for children and young people with disabilities, help develop their skills, whilst also involve creating a lasting impact. Each project will be considered on its own merit. SEND schools and units, children’s hospices, charities and social enterprises (community interest companies, co-operatives and limited companies) based in the UK are all eligible to submit an expression of interest. Children and young people with disabilities and life-limiting conditions must be the primary beneficiaries of your project. You must have raised at least 25% of the project costs prior to applying for this grant. If you have a project that you think is suitable for our legacy grant please submit an expression of interest form for Daytrippers to consider. Once reviewed by our panel you may be asked to meet with us to discuss the project further with a view to apply for the grant. Applicants may apply once a year (31st October to 30th October) by invitation only. Where budgets permit, we will consider funding for children and young people aged 5-16 without a condition. We will inform you if your expression of interest is not shortlisted. If a grant is awarded, it will be paid in instalments. The process of payment will be reviewed on a grant by grant basis and monitoring information will need to be submitted to support each instalment. You may be visited by a member of the Daytrippers team. We accept expressions of interest all year. However, if you have a project that you think may be suitable for our legacy grant, please feel free to contact us to discuss it in the first instance. HOW LIKELY WILL IT BE FOR MY APPLICATION TO BE SUCCESSFUL? If you have an idea and are considering applying, please contact us in advance to talk it through then we will be able to advise on whether it is suitable for this grant. You can email us at enquiries@daytrippers.org.uk or call on 020 7758 0030. HOW MANY PROJECTS WILL YOU FUND EACH YEAR? We have a limited amount of funding available but will aim to allocate it across the most deserving projects to help create maximum impact and value. Each year the applications will be considered on their own merits so there won’t be a set number of projects we aim to support. We are more interested in the projects aims and whether it will be leaving a legacy of change and inclusion. If your expression of interest is shortlisted, you will be asked to complete an application form. We will aim to let you know our decision as quickly as possible but advise it will normally take 4-6 weeks. If a grant is awarded, it will be paid in instalments. The process of payment will be reviewed on a grant by grant basis. Payment will be made by instalments and monitoring information will need to be submitted to support each instalment. You may be visited by a member of the Daytrippers team. We have grown to admire TourettesHero for their creativity and passion for inclusion. Starting out as a project with one single mission – “To change the world one tic at a time” – by celebrating the humour & creativity of Tourettes. In their own words, it’s not about mocking or commiserating – it’s about reclaiming the most frequently misunderstood syndrome on the planet. 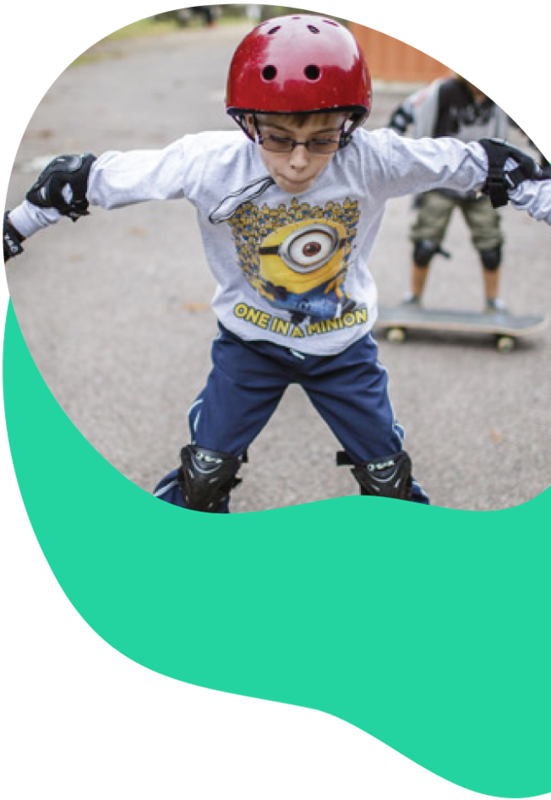 We have proudly supported both their development and a series of unique events for young people with Tourettes and their families, including a secret Superhero meet up, and even a silent disco in the Tate Britain. Despite how fun that all sounds, the reason why we continue to support TourettesHero is down to the ongoing impact of all their hard work. 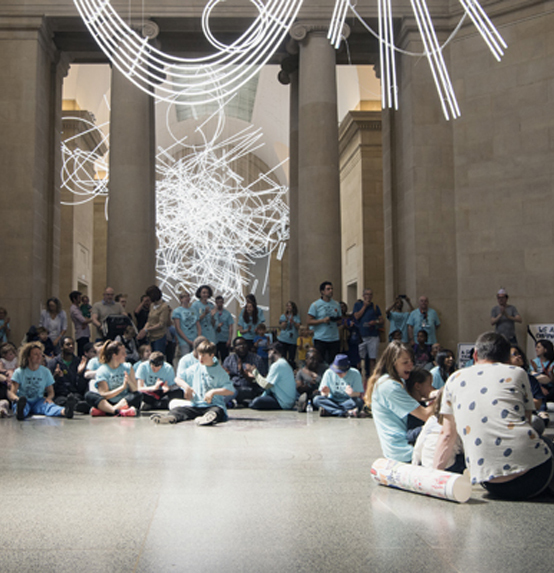 Going to an Art Gallery can be an intimidating task for a young person with a disability, and the Tate wanted to change that with our help. 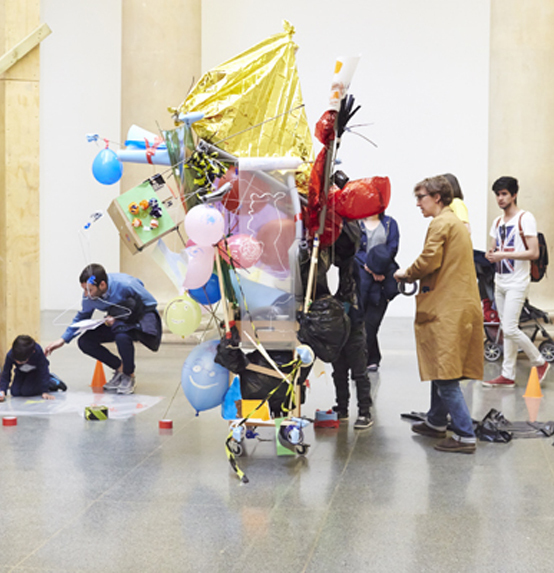 Partnering with them and a talented artist Ben Connors, we developed three large scale events which changed the way the gallery was explored, understood and engaged with by young people. Taking the lead from our Young Ambassador Ethan, we created a map of the gallery through Ethan’s experience, and challenged everyone to interact with the gallery and its art work without the normal rules and boundaries. We danced in the galleries, performed poetry, created soundscapes and art work which responded to the space and its existing collection of art. Partnering with Zoological Society of London on their annual Special Children’s Day. Over eleven years more than 11,000 young people with disabilities have accessed this unique event through Daytrippers support. This event takes place over one weekend per year and offers a truly inclusive experience of this family favourite venue. With additional facilities, chill out zones, and BSL interpreters the zoo opens up its doors in a way that isn’t normally available. Daytrippers in addition has developed and run private touch tours available for young people with visual impairments giving them a real hands on experience with the animals.